Its Probably Not the Printer! PLA is what is known as a thermoplastic. In other words, it liquifies when heated and solidifies when cooled. Pretty basic stuff. What is not so basic for a beginner is making the stuff stick to the printer bed consistently. Indeed, more than one first timer has erroneously concluded that his or her printer is at fault. 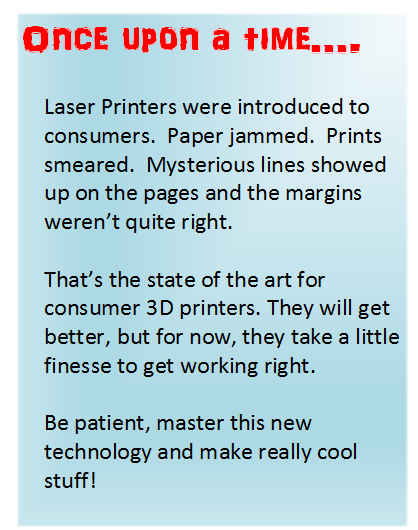 Instead, its just part of the learning curve that people who are new to 3D printing have to go through. Fortunately, others, have run into this before and have developed some tips and tricks that will reduce your learning curve and help you succeed. Your printer software allows you to set the temperature for your extruder. I normally use 190 degrees C. Others will use 200 degrees C.
but not so hot that it fails to cool rapidly enough to create an accurate print. 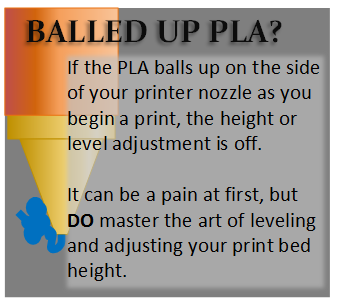 While you might get away with using hotter PLA on smaller parts, you'll run into some serious problems with those taller objects. Basically you'll have what looks like is going to be a beautiful print that all of a sudden sags, droops, or tilts. This is pretty critical. If the extruder tip is not close enough to the print bed, the liquified PLA will be too cool by the time it reaches the surface to adhere. The general rule of thumb is that the distance between the extruder head and your printer bed is about the thickness of a piece of paper. Home your Z axis. This places the extruder head at print bed height. 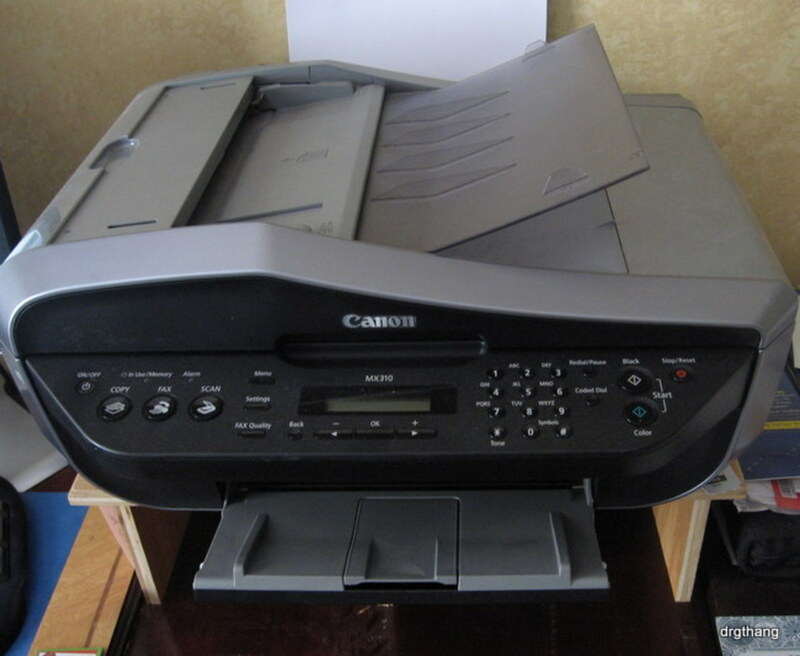 If necessary, you will need to adjust the height to be the thickness of the table away from the printer head. Level the Bed. This is accomplished by jogging (or moving) the extruder head to all four corners of the bed. At or near each corner of the bed, there are generally spring loaded adjustment screws (or nuts). You adjust these screws while sliding the paper between the extruder head and the table. 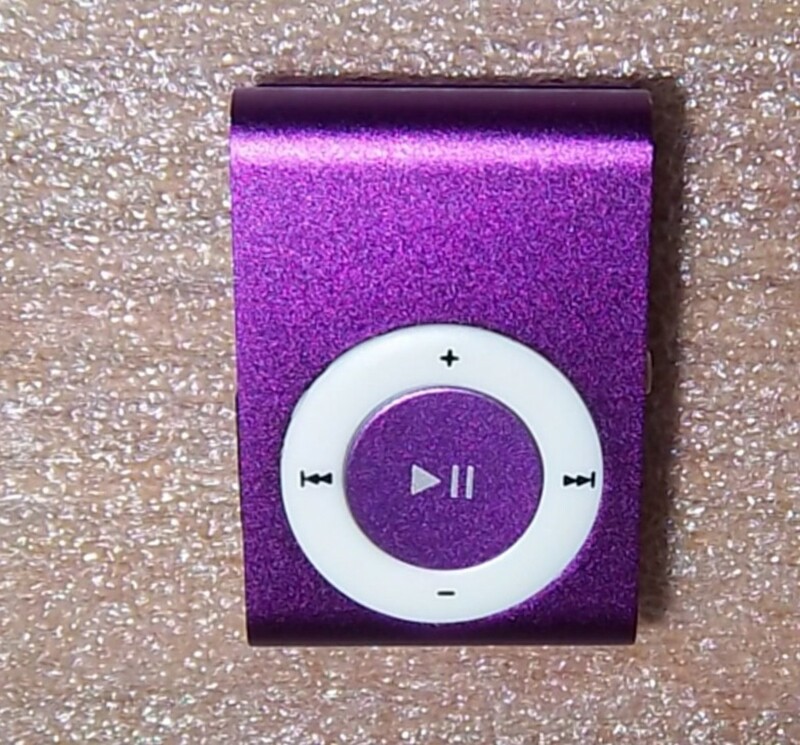 The idea is adjust these screws so that you can feel resistance as you slide the paper without tearing it. I use this method frequently and I like it a lot. Basically you tape the surface of your table with this tape and print on it. There are however a few key things you need to keep in mind for this to be successful. Lay the tape flat without creases. Otherwise you will have high spots on your print bed. 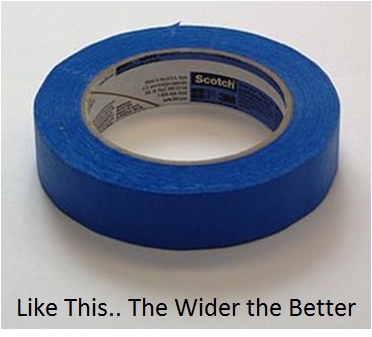 The wider the tape the better. That's because there will be fewer seams and thus fewer imperfections on the bottom of your object. Lay the strips of tape so that there is barely a noticeable seam. You do this to reduce the imperfections on the bottom of your print. LEVEL AND ADJUST the print bed AFTER laying tape. Keep in mind, the tape is reducing the space between the extruder head and the print bed. You will need to compensate for this added thickness. Clean the newly laid tape with alcohol. This removes the waxy layer on the tape and thus causes the PLA to stick better. This been a miracle cure for me. CAUTION! Sometimes this works a little to well and will make it very difficult to break the printed object free from the bed. One of the benefits of PLA is that you don't necessarily need to heat the bed. In fact, I've successfully printed many objects without heating the bed. Unfortunately I've also had a bunch that didn't fair too well. That has been particularly true on cold days. The fix for me has been to preheat my bed a little bit. For the most part, 40 degrees C works great. Others on the internet have posted that they have success at 60 degrees C.
I've purchased some bargain basement PLA spools in the past and have regretted it. Every plastics manufacturer has their own recipe and some of those recipes may not do the job you want it to do. Good 3D printing PLA is worth the money. I tend to lean towards getting my plastic from reputable 3D printer supply vendors as opposed to the one time opportunist who is peddling his plastic from an ocean freight container. Reputable 3D printers have an interest in providing quality material because their business model depends on you returning to buy more. In fact, I'm of the mind that the dozens of methods that people have tried in an effort to make PLA stick are largely a result of the varying quality of PLA being sold. My suggestion? 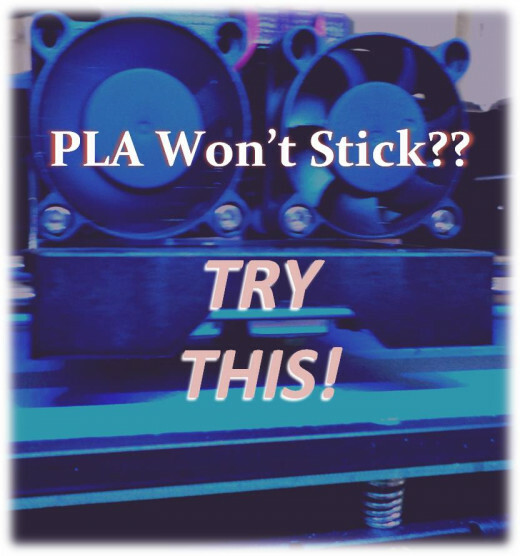 Find a PLA and a method that works for you and stick to it. If you have a heated bed, you can get some glass and have it cut to fit. Finally, you need to heat the bed. When I'm using glass, I will usually heat to 70 degrees C.
Don't have a glass bed? You can make your own and the video on the right shows just how to do that. The real magic is when you use Aquanet Hair Spray on your glass. 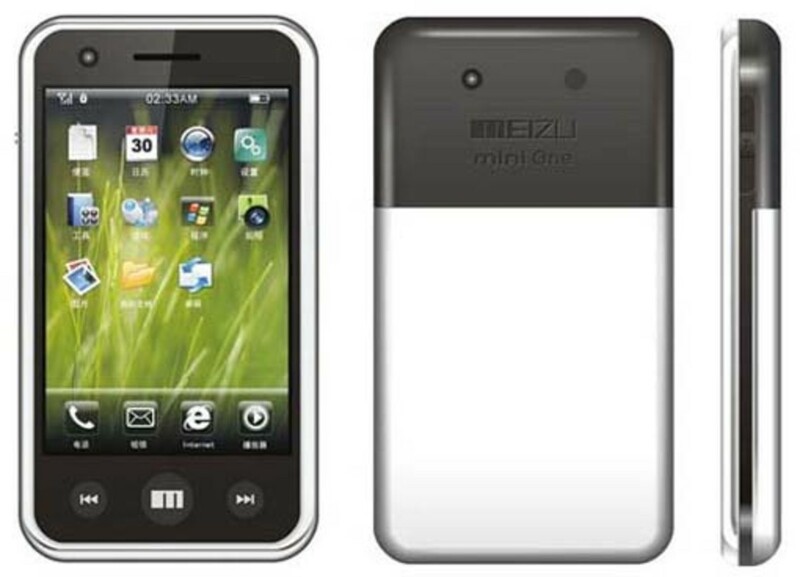 You'll probably need to buy it at a discount store. I get mine at the local CVS. It's my understanding that this particular brand has some plastic content. Joe's Workbench on YouTube does a fantastic job of demonstrating this process. Don' have a heated bed? Use a hair dryer before you start. The key to this trick is to warm the print bed to an almost uncomfortable level just before you start printing. In other words, you should heat the bed and then hit that "start" button. On occasion I will slow down the print speed for my first layer. I normally choose a setting that is about 60 percent of my normal speed. Doing so seems to reduce the tension placed on the PLA as it attempts to lay and stick to the bed. The suggestions above represent things that I have had success with. Others have not been so lucky with what I have suggested and have resorted to different methods to make their PLA stick. Take a gander below. If you have some of this stuff around your house, give is a shot. Elmer's Purple Glue Stick - This is good if you have a heated glass bed. Users of this method generally recommend heating your bed to between 40 and 60 degrees C. You should apply a thin layer while the glass is cold. Kapton Tape - Like glass, users of this method generally recommend heating their bed. They also like to use hair spray. Sanded Kapton Tape - A little 220 sandpaper on the Kapton Tape gives the plastic more surface area to adhere to. Fan Off - Keep the fan off for the first few layers. This keeps the PLA from cooling too rapidly. 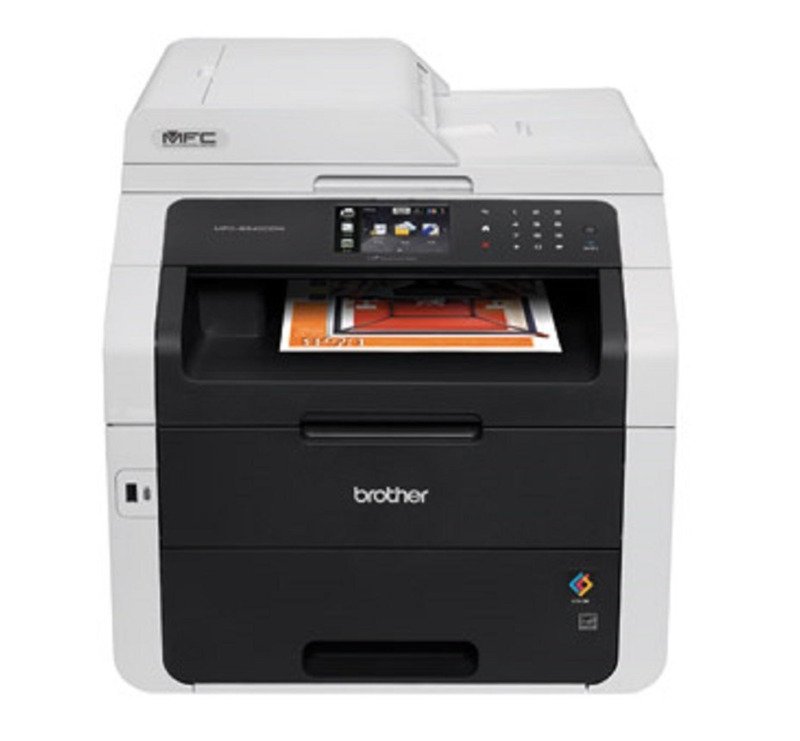 ABS Juice - You brush a slurry of ABS and acetone onto your printer bed.